The first major effort to capture carbon dioxide emissions from the burning of trash for energy just commenced in Oslo, Norway. 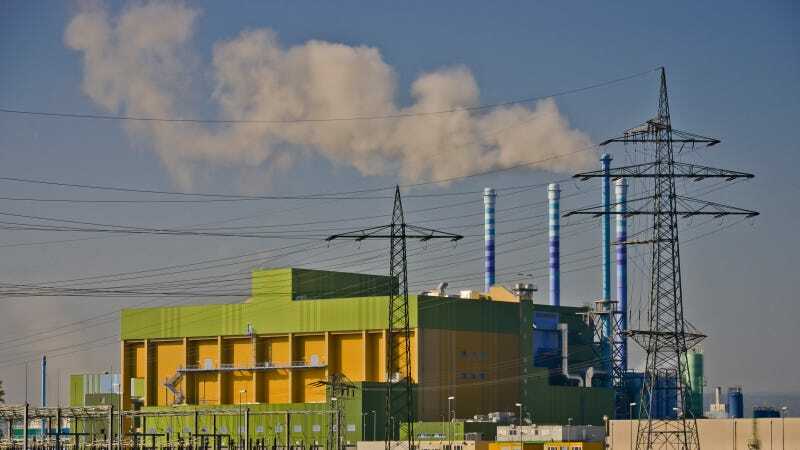 Over the next several months these climate-warming fumes from the waste-to-energy plant, which is the largest source of CO2 emissions in Oslo, will be stored and sequestered rather than emitted into the atmosphere. If the trail period proves successful and the CO2 capturing technologies work as designed, a permanent carbon capture plant could be built by 2020. The potential local impact of such an endeavor is substantial, as the Klemetsrud incinerator emits more than 300,000 metric tons of CO2 every year, or 0.6% of Norway's total greenhouse gas emissions. But there are also global implications according to Valborg Lundegaard, head of Aker Solutions' engineering business, the company running the test. Lundegaard told Reuters that the company sees "potential in this market across the world" for this first-of-a-kind trial. It would be the first carbon negative plant in the world. Sirin Engen, a carbon capture and storage expert based on Oslo with Bellona, a non-profit confronting climate challenges, told me over email that the impact of the project "could be huge" and that the most important thing about it "is that it would be the first carbon negative plant in the world." What this means is that the waste-to-energy plant will actually remove CO2 from the natural carbon cycle. While generating electricity from biomass (such as food) is normally carbon neutral—producing as much carbon as the organic matter initially removed from the atmosphere through photosynthesis—capturing carbon from burning biomass is actually carbon-negative. This type of 'carbon sink' could help reduce the overall CO2 in the atmosphere, a key element in keeping global greenhouse gas emissions below catastrophic levels. About 60% of the material burned in the Norway plant comes from biological waste that naturally decomposes and would otherwise release carbon into the atmosphere. Right now there are about 450 waste-to-energy plants in operation in Europe and about 700 globally. In the United States, about 7% of total waste disposal is directed to waste-to-energy plants, according to a 2013 Center for American Progress (CAP) report, which found that there were 86 waste-to-energy plants operating in 24 states and processing more than 97,000 tons of waste per day. These facilities create clean electricity by burning garbage at up to 2,000 degrees Fahrenheit in a controlled environment. The heat from the burning of the waste is used to boil water that creates steam and eventually spins electricity-generating turbines. While this process creates a number of potentially toxic fumes—such as carbon monoxide, nitrogen oxides, soot, and mercury—the plants in the United States are subject to the most advanced air-pollution-control equipment available under the Clean Air Act. Any leftover ash and metals that go unburned can be collected and recycled or used for other projects like road construction and landfill-covering material, according to CAP. The energy generated also often offsets power that would have been created by natural gas or coal. While the Environmental Protection Agency has found that incinerating garbage for energy actually releases more CO2 per megawatt hour of electricity produced, most of the stuff burned at waste facilities is created from biomass; i.e paper, food or wood that would eventually release CO2 into the atmosphere anyways. In doing the math, the EPA found that CO2 emissions from waste-to-energy plants are similar to those of natural gas and half of coal once the biomass is accounted for. Of course, with CCS capturing up to 90% of these emissions, the calculation becomes much more compelling. Then there are the diverted methane emissions from landfills. Methane is an extremely potent greenhouse gas, and when organic matter is placed in a landfill it off-gases methane as it is broken down by anaerobic bacteria. While this biogas can be converted into energy if captured, it often filters unobstructed into the atmosphere. Of the 1,900 or so landfills in the United States, approximately 560 capture methane gas and turn it into electricity. Landfills are the third-largest contributor of human-made methane emissions in the country, accounting for 16% of the total annual emissions. Landfills are the least preferable option for trash disposal, but in the United States we are still reliant on them. Michael Van Brunt, the director of sustainability at Covanta, a New Jersey-based sustainable waste company with 45 waste-to-energy plants in the world, told me that landfills are the "least preferable" option for trash disposal. He said that just diverting trash from landfills does a significant amount to reduce greenhouse gas emissions, and that the project in Oslo "takes this another step further." Van Brunt said while in Europe they have strong incentives for avoiding landfills, in the United States "we are still reliant on them." While the E.U. has made recycling and sustainable waste disposal more of a priority, in the United States waste disposal is mostly driven by economic factors. And with fossil fuel energy prices extremely low right now, the waste-to-energy business has seen better days. "The E.U. has very high landfill taxes," said Van Brunt. "This really changes the economics of not only waste energy, but recycling and compost do a much better job there than in the U.S."
For this and other reasons, such as the difficulty in capturing carbon, the best option for limiting personal greenhouse gas emissions when it comes to trash is generally to use less, waste less and recycle more. In the future, the captured gas at the Norway facility could be shipped to the North Sea, where it would then be pumped into oil and gas fields to help raise production. In the test stage, a mobile test unit is being deployed to capture up to 90% of the CO2 released. The test unit will feed the gas through five containers in an effort to understand key metrics of the experiment, such as how much energy is being consumed for the process and how the flue gas is working. About 10% of all the gas released from the waste-to-energy plant is CO2. The plant would also contribute to Norway's climate goal of reducing greenhouse gas emissions by 40% below 1990 levels by 2030, which aligns with the European Union’s target. Carbon capture and storage has been the holy grail of greenhouse gas emissions' research for years, as it would allow fossil fuel power production to continue while at the same time mitigating the impacts of climate change. It could also be used to deposit some of the extra CO2 already in the atmosphere underground. However, the technology remains unproven at a larger scale, and as the window to limit the damage of climate change closes, many advocate for focusing on fully renewable energy technologies instead, like wind and solar power. In California, where reducing greenhouse gas emissions is a state mandate, millions of dollars of government investment in carbon capture and storage is yet to yield significant results. One of the major deterrents to employing the technology, as is the case with any CCS for waste incinerators, is the cost. As of now, there are only a dozen or so large-scale CCS projects worldwide.